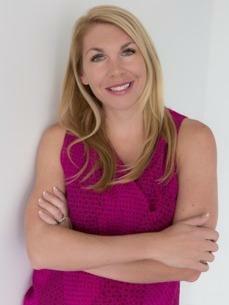 Brooke Hengst is a full time residential real estate agent with over 8 years experience in the business. Her knowledge of local market statistics and trends combined with the experience of over 150 transactions has helped her remain in the top 2% of realtors in the Denver marketplace. Whether she is working with Sellers or Buyers, she prides herself on being one step ahead of the competition. Her clients are more than confident knowing that they will gain the greatest advantage when buying or selling their latest financial asset. Brooke’ brings skill, integrity, and professionalism to every opportunity and challenge, ensuring that her clients are 100% satisfied. 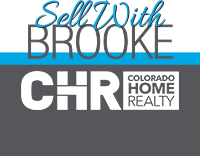 In addition to being a top Denver area Realtor, Brooke holds a B.S. in Music Education from The University of North Carolina at Greensboro. Her clients know her as hard working, generous, and compassionate. When she is not negotiating for her clients, Brooke enjoys spending time with her twin daughters, Emma and Cara, traveling, rescuing dogs, or just relaxing with friends and family. Brooke is involved in the South Metro Denver Board of Realtors, Colorado Wind Ensemble, eWomen Network, and Mile High Weimaraner Rescue. The Sell With Brooke Team is committed to providing high quality service to EVERY client, ensuring your next real estate transaction will be handled with professionalism and ease. Bought a Single Family home in 2018 for approximately $375K in Athmar Park, Denver, CO.
Brooke was fabulous to work with! She went above and beyond my expectations and was genuinely fun to work with. We could count on Brook to be patient with our questions as first time homebuyers, reach out when we were feeling discouraged in this tough market, and to, most importantly, put together strong offers when we found a house we wanted. Throughout our 3 month search, Brooke stayed committed to ensuring we found a home we love. I'm happy to say we just moved in this month and are so happy in our new home! Thanks, Brooke!! Bought and sold a Single Family home in 2017 for approximately $375K in Lakewood, CO.
Brooke was referred to us by a trusted friend who had used her previously. Our experience with Brooke was awesome. We were a little complicated, 2 home sales and combining families. We also spread the entire move out over about a year and Brooke was with us the whole journey, answering questions and showing us properties. She was available to show us properties quickly which enabled us to get the house we ended up buying- we squeezed in a showing at the last minute and Brooke drove across town to meet us. Her team is phenomenal and I especially thank Danielle Herder who walked me off the ledge many times and was there to support me the entire day (and I do mean almost all 24 hours of the day) the day our house sold. Brooke's referred us to Nova Home loans which also got us into out new house at a great rate. I would recommend Brooke in a heartbeat to anyone looking for a realtor. She is awesome! Bought a Condo home in 2017 for approximately $300K in Littleton, CO. I received a recommendation to contact Brooke when I was ready to purchase. She and her team (Danielle and Carrie) made my home shopping a truly enjoyable experience. I was amazed how available they were to me; If a question popped into my head at night, both Brooke and Danielle would contact me via text or voice. Brooke wrote up a contract bid for me while vacationing in Mexico! I was extremely impressed and I will recommend this team to everyone I know looking for a home because I am confidant they will be as equally impressed. Many, many thanks! Sold a Single Family home in 2017 for approximately $500K in Castle Rock, CO.
We had to sell our house in a hurry and Brooke did a great job for us. We had an offer in no time, and she was always very responsive throughout the entire process. Brooke is very knowledgeable, and her team works to get you everything you need. Brooke is amazing! She helped me get my first home quickly. She negotiated well and gave great recommendations. She was great at showing me around and making sure my needs were met. She was always efficient and very professional. I highly recommend working with her! Bought and sold a Single Family home in 2016 for approximately $450K in Marston, Denver, CO.
We have worked with Brooke on three transactions (2 purchases and one sale). I cannot say enough about how much we appreciated Brooke's professionalism and willingness to hustle going above and beyond in helping us find solutions to multiple issues (plumbing, AC, HOA quirks, deck repair...and on and on). When you're dealing with real estate, the stress is high, and Brooke has the experience and personality to keep things in perspective through the tough stretches. Bought a Single Family home in 2015 for approximately $400K in Hampden, Denver, CO.
Sold a Single Family home in 2015 for approximately $325K in Parker, CO.
Brooke is excellent to work with. She listens to your needs and doesn't push you. She is full of energy and gets things done. Highly recommend her. Bought a Single Family home in 2015 for approximately $300K in Johnstown, CO. I met Brooke at BNI. I had a world of Realtors to choose from but went with my instinct that Brooke was the type of agent who would fight like hell for her clients to get them into a home they truly wanted. She did just that with my family. We were offered a handful of available properties and we went and saw them all. The one that we truly wanted, we knew was a long shot but we entrusted Brooke to help us get it and she suggested the Love Letter to the Seller. That "love letter" is what gave us the edge we needed to outbid 13 other offers and we won the house! Bought a Single Family home in 2015 for approximately $325K in Parker, CO.
Brooke is a rock star realtor! Where do I even begin? Here are some adjectives that come to mind when I think of Brooke...dependable, reliable, knowledgeable, experienced, active, pro-active, relentless, outside thinker. What makes Brooke different from all the other realtors that I have worked with is she is willing to do what other realtors are not. For example, ask Brooke about why she suggests writing a 'love letter' to the buyer to gain that competitive advantage. Homes that sit on the market too long don't sit well with Brooke either. I have referred Brooke to others already and I just bought my home less than a month ago. What I love about Brooke is that she will do everything humanly possible to get you into the home you're looking for.